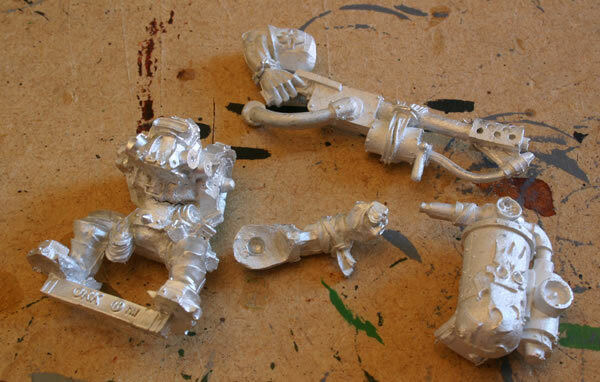 See how I am painting the rest of the Ork Kommandos. I first stuck the model together which comes with two separate arms and a backpack. This is a nice model. 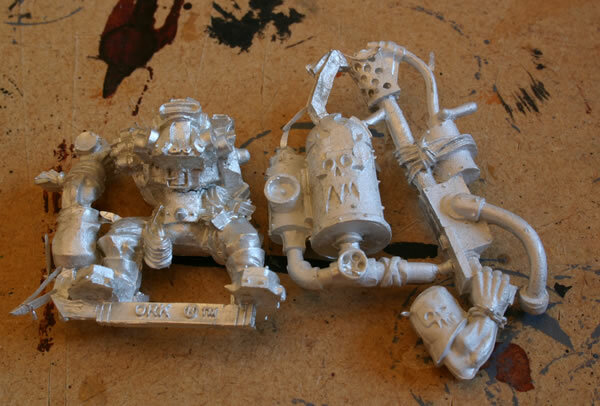 The Ork Kommando with Burna comes as two castings. 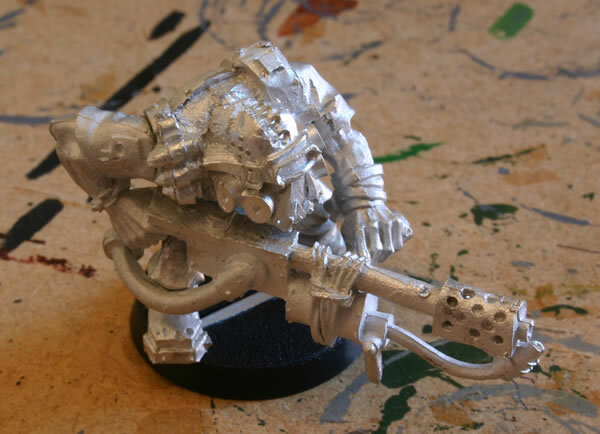 The actual model comprises four components, the main body, a backpack and the two arms, one of which has the actual burna. 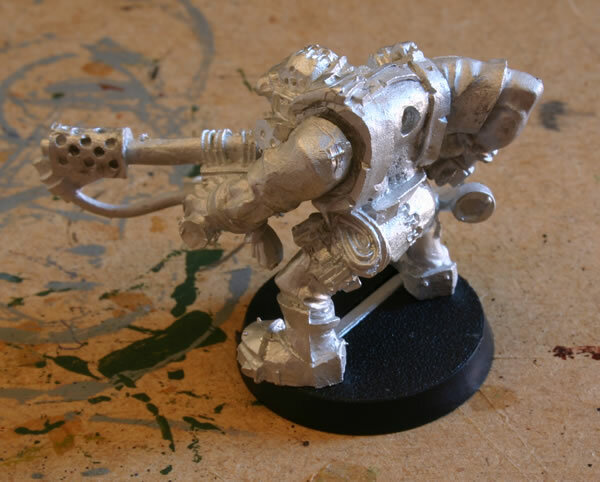 Fitting the model together was relatively easy, the arms fitted well and there are only minimal gaps which need filling. At the moment I am not sure whether to attach the backpack now or later.